The ninth annual MOBO Awards ceremony took place on 30 September 2004 at the Royal Albert Hall in London and was broadcast by BBC Television. So Solid Crew won the award in the UK Garage Act category award beating Dizzee Rascal and The Streets, and Brandy was in the house. Birmingham-born Jamelia beat strong competition from American acts Outkast and Kelis to win every category for which she was nominated. Best single, best video and UK act of the year, the last shared with the rapper Dizzee Rascal, crown a remarkable comeback for the artist, who took a year out from her career to have her daughter Teja. Her tally was matched by US rapper and producer Kanye West. He had a record seven nominations, but proved to be among a host of big American names who failed to turn up at the ceremony. He nevertheless won best hip-hop act, best producer, and best album for his chart-topping The College Dropout. 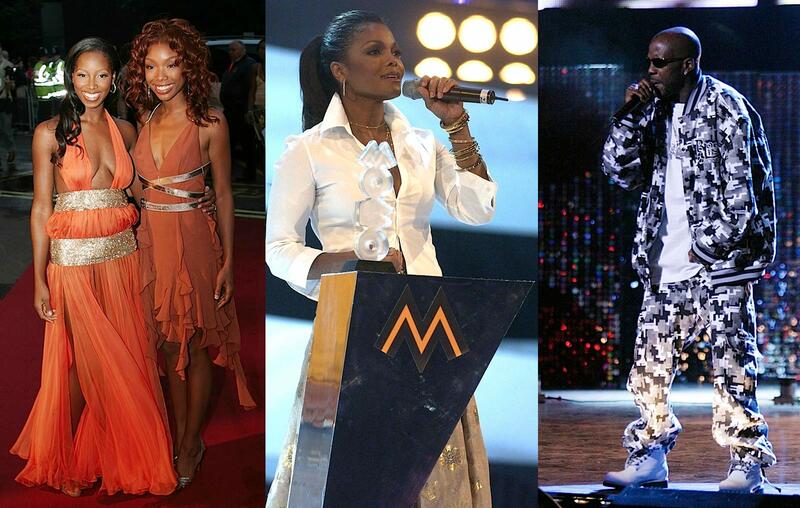 Other winners included Janet Jackson, Icon hall of fame award, and US singer Anita Baker, the lifetime achievement award. Jamie Cullum ended 2003 as the UK's biggest selling jazz artist of all time, and ended 2004 with a Best Jazz award. Kanye became the highest nominated artist in the MOBO awards' nine-year history, nominated in seven categories. Best R&B Act Usher released fourth studio album 'Confessions' in March 2004, which sold nearly 1.1 million units in its debut week - the highest first-week numbers ever scanned by a male R&B artist. Janet Jackson took away the Icon Award, presented by Dallas Austin, and thanked MOBO for support in her touching speech: “our music grows out of our experiences of life in today’s world, it transcends waters, it’s multicultural, it resonates in the lives of other people everywhere”.